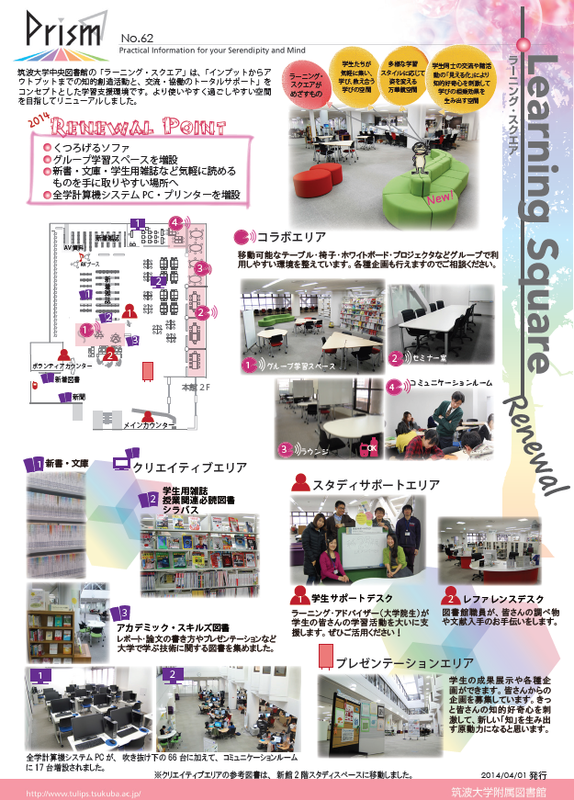 "Learning Square" of the Central Library are renewed. Pocket books and journals for students are rearranged at more attractive and accessible place. Zengaku computer system PCs and a printer are added.